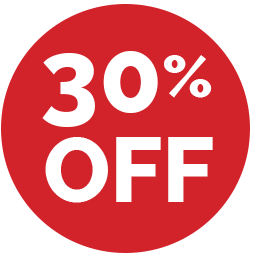 Hurry 30% Off ALL Online CEUs – Catch Our Back to School CE Sale Now! Want to save money on your upcoming CE requirements and earn the credits while sipping coffee in your PJ’s? If so, act now to SAVE 30% on ALL courses @PDR. We have over 100 online courses to choose from and we give you 3 years to complete them for credit. Shop now! ===>Click any of the course images below to learn more! Questions about how to complete an online course? Click Here to Find Out! Choose from Over 100 Courses! Your 30% instant savings should automatically apply at checkout, but if for any reason it doesn’t – just enter coupon code BTS3016 and click ‘update’ to apply. Sale ends August 31, 2016. Offer valid on future orders only. Shop now! Professional Development Resources is a Florida nonprofit educational corporation 501(c)(3) approved to offer continuing education by the American Psychological Association (APA): the National Board of Certified Counselors (NBCC); the Association of Social Work Boards (ASWB); the American Occupational Therapy Association (AOTA); the American Speech-Language-Hearing Association (ASHA); the Commission on Dietetic Registration (CDR); the Alabama State Board of Occupational Therapy; the Florida Boards of Social Work, Mental Health Counseling and Marriage and Family Therapy, Psychology & School Psychology, Dietetics & Nutrition, Speech-Language Pathology and Audiology, and Occupational Therapy Practice; the Ohio Counselor, Social Worker & MFT Board and Board of Speech-Language Pathology and Audiology; the South Carolina Board of Professional Counselors & MFTs; and by the Texas Board of Examiners of Marriage & Family Therapists and State Board of Social Worker Examiners. We are CE Broker compliant (all courses are reported within one week of completion. This entry was posted in Counseling CE, Marriage & Family Therapy CE, Mental Health, Nutrition & Dietetics CE, Occupational Therapy CEUs, Promotions, Psychology CE, School Psychology CE, Social Work CE, Speech-Language Pathology CEUs, Teaching CE and tagged back to school ce sale, pdresources coupon code, pdresources coupon code bts3016, pdresources coupons, pdresources sale by Gina Gunderson. Bookmark the permalink.